Financial decisions will always be part of life whether you like it or not and it will come across quite often. From the moment you wake up until you get to bed to turn in for the night, you would have made a couple of money decisions all throughout the day. From buying gas for the car, paying for the bus, food and even the groceries you had to pick up on your way home. Along with these decisions, financial stress will also always rear its ugly head and you just need to be able to manage and work your way around it. The idea is to not let it affect you and your finances because it can really do a number on your budget once you allow it. It can put you in the red and keep you there for a long time unless you start making better decisions. 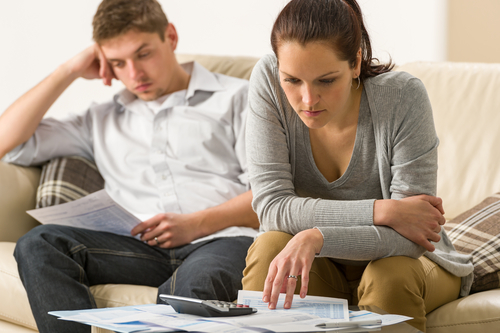 Money management is a serious business and sadly, Gallup.com shares that there are only about 30% of American consumers who are able to put a detailed budget together. And even then, if you are able to put a budget together to help guide your financial decisions in life, you need to ensure that you follow that budget all throughout. One of the most common financial pitfalls for consumers is having a budget yet treating that list as merely a suggestion and habitually and consciously veer away from it. This can spell trouble especially when you have the habit of impulsively making purchases whenever you get the chance to go out and check your favorite establishments. As you try to make better financial decisions in life, there are few that you need to stay away from. Here are some of them which you will surely regret after. Borrowing too much in student loans. Time.com shares that the average student loan amount a graduate is carrying as they leave their campuses is around $35,000. This is one big amount for a fresh graduate and if you do not watch what you are taking out, it can balloon to unmanageable amounts. If you are still in college, it is best to exhaust all free money first before delving into the loans section. There are scholarships and grants that you can look at to help you lower down the amount you need for college or graduate studies. The lower the amount you need to pay, the faster you can get out of it and the lower the interest you pay over time. Not understanding compound interest. Compound interest is a double-edged sword meaning it can help you improve your finances or it can slowly destroy your financial plans. The way it works is that at a certain point, interest is added on to the capital amount. This continues on month to month unless you either pay the full amount if it a debt or withdraw the whole amount if it is an investment. Needless to say, this is better an ally than a recurring threat to your finances. Minimum payment on credit cards. Creditcards.com shares that there are about 60% of card holders who believes they will be able to pay down their balance if they keep paying just the minumum amount. There is truth to this statement but there is an ugly fact behind all this and it includes compound interest. As you continue to pay just the minimum amount on your card, you will eventually pay off your balance but not after you have paid out a huge amount on interest payment. This is one of the financial decisions you will regret as soon as you realize the amount that you are losing every month on interest payment alone. Borrowing money from your 401(k). One of the biggests sins you commit against your retirement fund is making early withdrawals. You can be capped as much as 10% penalty on early withdrawal from your 401(k) if you take money out before you reach 59 ½. Of course there are exceptions but the bottomline is to use it solely for retirement purposes. This puts more emphasis on the need to set up a financial system that will help you get through financial emergencies without having to dip into your 401(k). What can you start with now? As you try and make good with your financial decisions, there are some that you can do right this minute that can help you improve your finances. Here are some of them that you can go through right at this moment. Review your budget. Your household budget is one of the pillars of your overall finances and you need to make sure that everything is on point. One thing you can do now is to take a good look and review your present budget. There will always be something you can improve on whether it is reviewing that last purchase you made or plotting out how much you need to save at present to be able to afford a particular item in the future. List down what you want at the end of the year. You need to have specific goals for the future to aim for. It can be paying down your credit card, being able to save for a mortgage down payment or starting a business in the future. What you can do is to list it down and jot down specific steps you can take to get to that goal. It can be saving a specific amount every month for it or checking out a way to increase your income in the coming months. The important thing is to have a goal to aim for to get your moving forward. Save a specific amount at the end of the day. Look at what you have with you now and try to put a plan in place to save something at the end of the day. Regardless what amount it will be as long as you can follow through and have that saved up at the end of the day. The following day, do the same thing but increase the amount you will be saving. Do the same thing for the next few days and at the end of the month, you will be surprised with what you have saved up. Learn something new. There is always room for self improvement and that is one of the things that you can take advantage of on a daily basis. You might be passing up the chance to learn something new because your mindset is that it takes years of work just like how it was in school. But you would be surprised with what you can learn on a daily basis if you break them down into manageable information and dedicate a specific amount of time for them. If you love photography, you can learn something new everyday and over time, you can accumulate enough knowledge to try it out and even earn from it. Financial decision will be part of your everyday life and you need to make informed ones to help you improve your finances over the course of time. To do that, you need to have an idea on some of the most common pitfalls consumers make as well as some of the advantageous ones that can help shape your financial future.